The Systems for Improved Access to Pharmaceuticals and Services (SIAPS) Program convened a consultative meeting of its partners to identify definitions of a pharmaceutical system and pharmaceutical systems strengthening and components to be included in a measurement framework for systems strengthening. The meeting held on September 11-12, 2014, brought together SIAPS core and resource partners, experts from the US Agency for International Development (USAID), the Pan American Health Organization (PAHO) (representing the World Health Organization), and Boston University School of Public Health. The discussions were guided by a background discussion paper prepared by SIAPS staff (page 18) and presentations given at the beginning of each session. 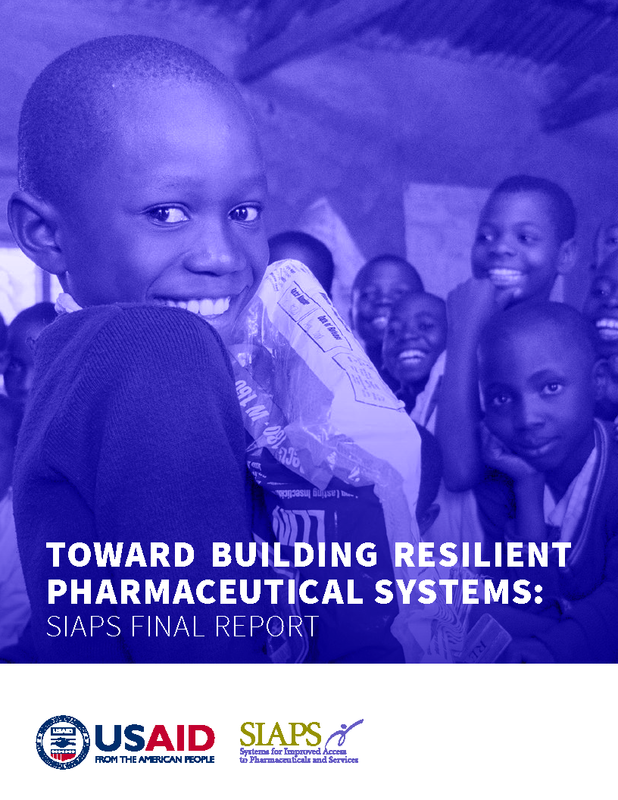 More than 30 participants, who represented 13 different organizations working to improve access and use of pharmaceuticals in low- and middle-income countries, agreed on working definitions of a pharmaceutical system and pharmaceutical systems strengthening.